With 1AVCapture you can capture and record audio and video from all sources. 1AV Capture 1.9.8 was available as a giveaway on April 9, 2017! With 1AVCapture you can capture images from your desktop or webcam or TV tuner card, record narrated tutorials, record videos from inside browsers, record your voice, record your favorite music tunes from the web, record your favorite TV programs, record videos from your webcam. 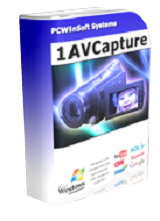 With 1AVCapture you can capture and record audio and video from all audio and video sources you have available on your PC. Please note: today PCWinSoft is cross-selling the lifetime licenses of the featured titles so if you are purchasing, notice that the e-mail delivery confirming the purchase of the lifetime license may take up to 12 hours after the regular order notification. The regular order notification will reach you right after the purchase. How would you improve 1AV Capture 1.9.8? 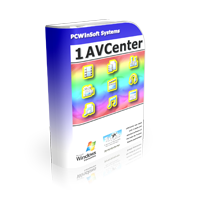 1AVCenter Lifetime License on sale for $19.90 ($140 discount). ScreenCamera Lifetime License on sale for $17.90 ($110 discount). 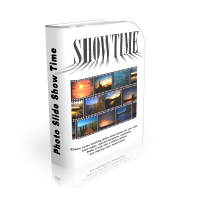 Photo Slide Show Time (Lifetime License) on sale for $19.90 ($90 discount). 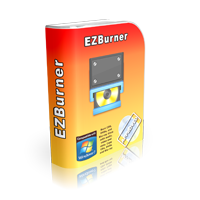 EZBurner burns CDs, DVDs, and Blu-ray discs with audio, video and data. The program lets the user copy audio CDs, copy data CDs, DVDs and Blu-ray discs, burn MP3 CDs and DVDs, burn video DVDs and Blu-ray discs, burn data on CDs, DVDs, and Blu-ray discs, burn audio CDs, save ISO images to disk, burn ISO images to recordable media and format rewritable media. EZBurner Lifetime License on sale for $15.90 ($110 discount). 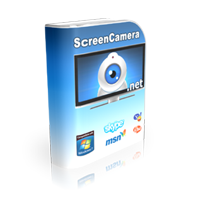 ScreenCamera.Net is a video recorder, video streaming server, and a virtual camera. 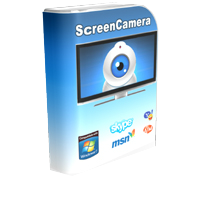 ScreenCamera.Net supports all monitors, video devices such as TV cards and webcams, images, movie files, audio files, and text and date-time stamps. 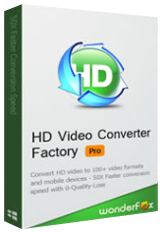 Stream and record video formatted to your exact needs: No program on the Internet is capable of generating customized video content like ScreenCamera.Net does. Tucows rated ScreenCamera.Net with 5 stars. ScreenCamera.Net Lifetime License on sale for $19.90 ($140 discount). Can it record skype audio? Cannot find any fix to the non instalation widely reported. No good to me. I tried to download but never got a link or a download when I shared. setup program took me to a webpage....crummy stuff! It said the file was activated, but I can't find the installation in the program folder or anywhere else. I tried 5 or 6 times. Never had this problem before. You should fix this to pass malware checks before distributing. Sorry, I'm not going to disable checking to install hazardous SW. deleted. The only way I could get it to install was in Safe Mode. Not surprisingly, it threw errors during the install. Following restart it appears to work as described. It should probably default to a frame rate that will result in a decent playback. It wasn't hard to find where to do that, but I knew what the problem was and what I was looking for in the menus. It'd be nice if it would export to flash. I'll probably keep it installed. Would I pay for it if I hadn't downloaded it here? Probably not. Was hat ein Chat Server und Chat Client in diesem Programm verloren? Programm wieder direkt deinstalliert! Installed okay. Tried to run with complicated selection process. Program vanished and won't open again. I'll uninstall an stick with Tipard screen capture. Anti-virus activated by attempted installation.What's wrong here? Nothing works, waste of time, this is only a teaser, nothing gets installed. Tried to install and it said can't connect to server install will abort . I have tried 3 times can you help me? Ever since i tried out this program on a previous giveaway, these people have been spamming me with two emails each day, nagging me to buy their other software. I don't appreciate it at all. "2017-4-8 1.9.9.10 User interface improvements and bug corrections. 2017-1-12 1.9.9.00 Multiple instances allowed. 2016-12-15 1.9.8.90 Important bug corrections. 2016-11-1 1.9.8.80 Important bug corrections. 2016-10-10 1.9.8.70 UI improvements and important bug corrections. 2016-9-26 1.9.8.60 Record video and audio directly to format MP4. 2016-7-26 1.9.8.50 More secure digital signature. 2016-4-9 1.9.8.40 Capture images in GIF and TIFF plus important bug corrections. 2016-3-5 1.9.8.30 Important bug corrections plus integration with social networks. 2016-2-10 1.9.8.20 Option to choose if you want to remove files permanently or send them to the Recycle Bin." As stated elsewhere, I also get a webpage telling me the software has been activated but nothing gets installed. For anybody having this problem, it's most likely your firewall or anti-virus. Disable these for a few minutes during install, and it should work fine. Justin, this happened to me last week, and it turned out that my Avast anti-virus was blocking the installation without doing me the courtesy of TELLING me it was blocking it. I turned Avast off for just long enough to install the program, and it worked fine then. If the developers are trying to persuade us to buy their software then they should at least offer something that is usable. Installed on Win10 (x64) and tried to capture some audio from various sources, it captured absolutely nothing. Uninstalled. Help! It said the file was activated, but I can't find the installation in the program folder or anywhere else. I put my webcam on, but nothing happens. I want to UNINSTALL it, but I can't find it. What do I do now? Huh! Downloaded & unzipped files. Used Setup.exe which simply opened the installer which then told me that the program had been successfully activated. One problem though, the program DID NOT INSTALL. Tried 5 or 6 times. Never had this problem before. Col, the term "successfully activated" is used by Themida to indicate that the Themida has been removed and the installer is waiting in RAM to get installed. Normally it starts by itself. As it resides in RAM, you cannot do anthing about it. Just try again, but first empty the temp-folder. You can find it by pressing the looking glass second from the left below (Windows 10) and type %temp%. For the past few months that happens to me too with GAOTDs! Almost half of the GAOTD programs say 'it has been installed successfully' but nothing is installed. I have tried re-download, install as administrator - no go! Some of the programs do install as they always did. I am baffled. I commented about it several times but no help from GAOTD or their partners. Now I notice more and more people having the same problem. I suspect that nowadays some GAOTD programs are not packaged right or some other problem...that GAOTD need to solve. For the past few months that happens to me too with GAOTDs! Almost half of the GAOTD programs say 'it has been installed successfully' but nothing is installed. I have tried re-download, install as administrator - no go! Some of the programs do install as they always did. I am baffled. I commented about it several times but no help from GAOTD or their partners. Now I notice more and more people having the same problem. I suspect that nowadays some GAOTD programs are not packaged right or some other problem...that GAOTD need to solve. Help please GAOTD. Col, please see my reply to Justin. I think this is the same version given away two years ago? It works as described. I only use it occasionally as I have other capture programs, however, if you don't have any, this is well worth getting. thanks to PCWinsoft and the giveaway team for a decent application. If your PC lacks a sound mixer/wave out INPUT that can be enabled through settings or driver tweaks this cannot capture system/streamed audio sources because it relies only on ancient sound subsystem technology that is compatible with windows 2000 and does not use WASAPI introduced in Windows Vista that allows interception of playing audio without soundcard specific support. Everyone using this site has not necessarily been on GOTD for years. Razor, Everyone using this site has not necessarily been on GOTD for years. downloaded zip file, extracting zip file, reading the read me file, running setup.exe file. What to happen is: Activating prompt comes, then succefully activated prompt, and then download 'Software informer' (no I will not) and have never done - and then it's all over. I have NEVER had this problem before (well - yesterday too) in the many years I have used Giveafwayoftheday games. WHAT'S the PROBLEM. Tried to install, like all the others that I get from this site, and it TOTALLY SCREWED UP MY COMPUTER!!! DON'T INSTALL!!! Sean, Works fine on my computer, so I will be keeping it as some of my capture devices don't work in certain situations where this one will. When try to install the software it says the error "The setup files are corrupted.Please obtain the new copy of the program" . Please guide me how to install it. Saravanan, The same issue happens over on the gamegiveaway side of the giveaway site. I think it has something to do with the Themida wrapper that is used to protect the files. Some security software will block the installation due to the Themida code because it can also be used to hide malware. Whiterabbit recommends you do one of three things to get the software to install. White list the giveaway files then install, reboot in safe mode with networking, then install, or temporarily turn off your security then install. 5) open that folder, find Setup.exe or Activate.exe and double-click it. That will remove the wrapper, place the actual installer in RAM and run it. The trouble is that Themida uses techniques that AV's do not like. The best you can do is test the giveaway on a virtual computer. That does not need any AV, provided you protect it with a snapshot that gets rid of the giveaway and any virus or crapware at the same time. Saravanan, (see also the answer from Heavy Water) 1) clear the temp-file; 2) create a folder on your desktop and call it 'test' or 'GAOD' or whatever you like; 3) tell your AV (Anti Virus) it should neglect anything that is happening in that folder;' 4) use 7z to unzip the downloaded zip into that folder; 5) open that folder, find Setup.exe or Activate.exe and double-click it. That will remove the wrapper, place the actual installer in RAM and run it. The trouble is that Themida uses techniques that AV's do not like. The best you can do is test the giveaway on a virtual computer. That does not need any AV, provided you protect it with a snapshot that gets rid of the giveaway and any virus or crapware at the same time. Heavy Water, if this happens one more time, I will not be coming back. Bad enough I have to install *immediately* with no ability to reinstall in the event of Windows needing a re-install but now I have to jump hoops to get the installer to run. >. 4) Unzip the downloaded zip into the test folder. I use 7z. 5) Run the Setup. It never fails in this way. 6) When the giveaway has been installed, I clear the test folder to be ready for the next giveaway. Saravanan, The procedure I follow to prevent this: 1) Empty the %temp%-folder if a previous attempt failed; 2) Make (or clear) a test folder to unzip the downloaded zip. I put it on the desktop and call it 'test'; 3) Tell the AV (AntiVirus) to disregard the test folder. So my AV will still protect all other files and folders of my PC while installing the giveaway; 4) Unzip the downloaded zip into the test folder. I use 7z. 5) Run the Setup. It never fails in this way. 6) When the giveaway has been installed, I clear the test folder to be ready for the next giveaway. setup.exe doesn't work. Launching this merely provides a pop up which states that software activated - but no software actually loaded? The program didn't recognise any audio devices and said it couldn't record audio. Therefore I uninstalled it straight away as it would be of no use. For the record other screen capture programs find audio devices with no problem.